Addappter has a built-in feedback form. Open the Report tab to send a message. The message will automatically include information about your computer, the Addappter version and the log files. You can also attach a file to the message. The maximum file size is 5 MB. On the computer keyboard, press the Print Screen button. The screenshot is saved in the buffer memory. In Addappter, click Attach screenshot. The screenshot from the buffer is attached to the message. 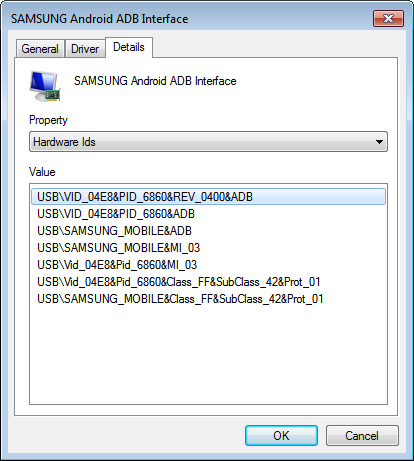 If you are reporting a problem with a particular device, specify the model and Windows IDs. Attach a screenshot with all files in the installation folder. Addappter history logs are saved in C:\ProgramData\AndroidConfiguration\. The file names start with Log (for example, Log5.txt). The program logs let us know what exactly happened at the moment when the problem appeared. The log folder is opened automatically if you fail to send the message through the feedback form. Attach all log files to the message. Tip. If you don't see the folder C:\ProgramData\, press Win + R and enter the path to the folder in the window that appears. Open Control Panel → Device Manager. Find the connected device and open its properties. Include the “Hardware Ids” and “Compatible Ids” values in the email.